This card cannot be Normal Summoned or Set. This card can only be Special Summoned by removing from play 1 "Red-Eyes B. Dragon" from your Deck. There can only be 1 face-up "Malefic" monster on the fie.. This card cannot be Normal Summoned or Set. This card can only be Special Summoned by removing from play 1 "Blue-Eyes White Dragon" from your Deck. There can only be 1 face-up "Malefic" monster on the.. This card cannot be Normal Summoned or Set. 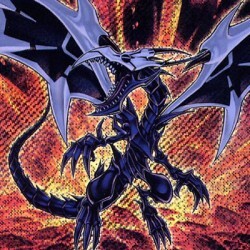 This card cannot be Special Summoned except by removing from play 1 "Cyber End Dragon" from your Extra Deck. There can only be 1 face-up "Malefic" monster o.. This card cannot be Normal Summoned or Set. This card cannot be Special Summoned except by removing from play 1 "Rainbow Dragon" from your hand or Deck.There can only be 1 face-up "Malefic" monster on..
"Junk Synchron" + 1 or more non-Tuner monsters. Once per turn, you can select 1 monster your opponent controls and change its battle position. This effect can be activated during either player's turn,..
"Malefic Parallel Gear" + 1 non-tuner "Malefic" monster. When this card is Synchro Summoned, you can select 1 Synchro Monster in either player's Graveyard and Special Summon it. There can only be 1 fa.. While this card is face-up on the field, you can activate this effect instead of conducting a normal DDaw during your Draw Phase. Choose 3 "Malefic" cards from your Deck and have your opponent pick pi..